Jamie Allen is interested in technologies that suggest ways of reinventing traditional relationships to art and performance. His work in digital media, music, performance, and public art seeks to create physical relationships between people and media. 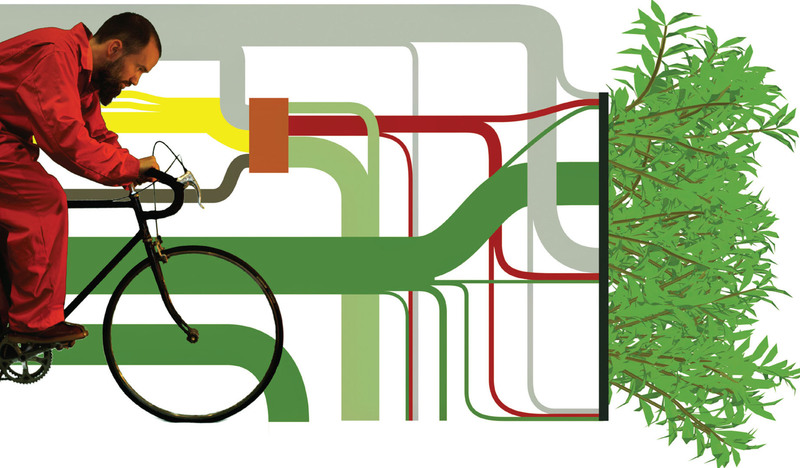 In this work, a bicycle generator powers a water pump and lighting system for a plantation of hy-droponically grown, edible plants. The plants provide nourishment for the biker, and this a sealed micro-ecosystem asks: What are the limits of human “sustainability”?